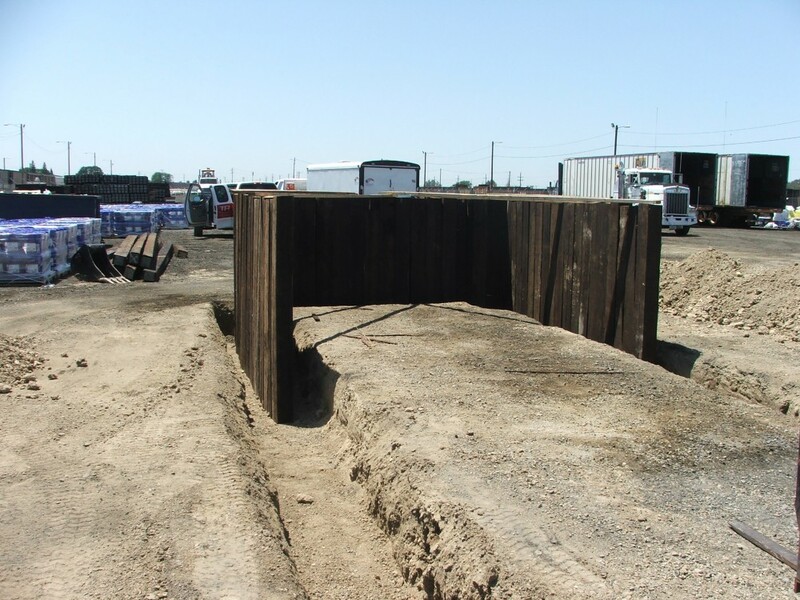 Another railroad crossing repair project in Rocklin, California. 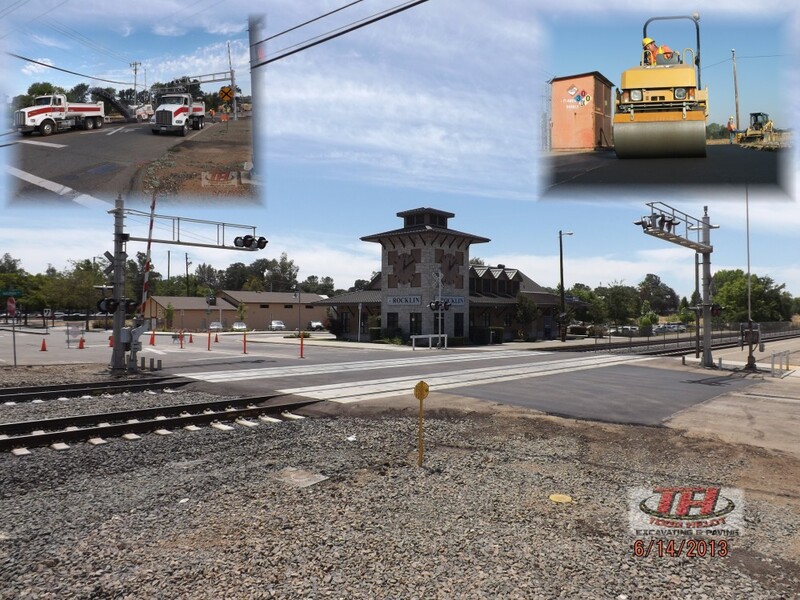 These crossings had concrete RXR ties installed and subsequently, we paved the encroachments with hot mix asphalt. 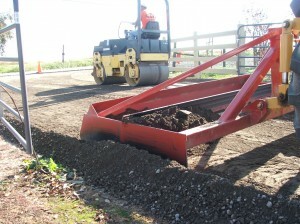 Todd Heldt Excavating & Paving has been a railroad asphalt paving contractor for many years. 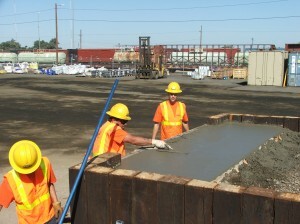 All company employees possess all the training and certifications that are required by most railroad companies. 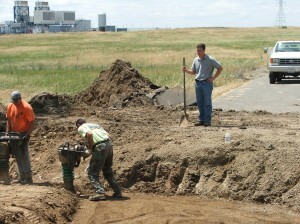 A major storm had washed out an access road to a local power plant. 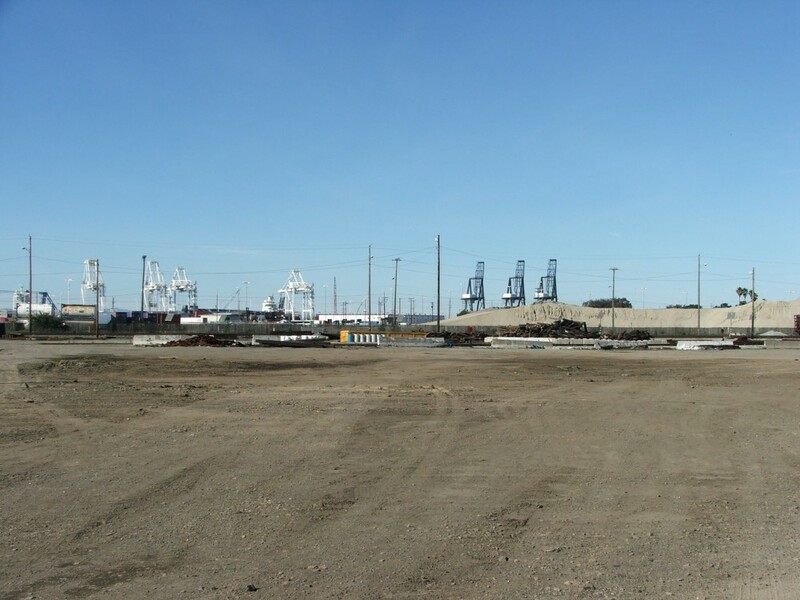 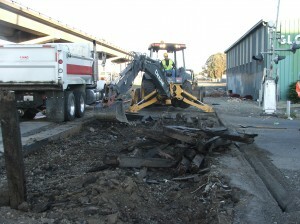 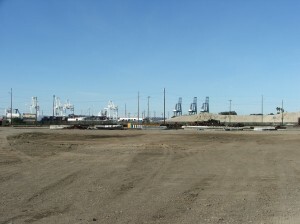 This required our company to mobilize and start rebuilding the roadway immediately. 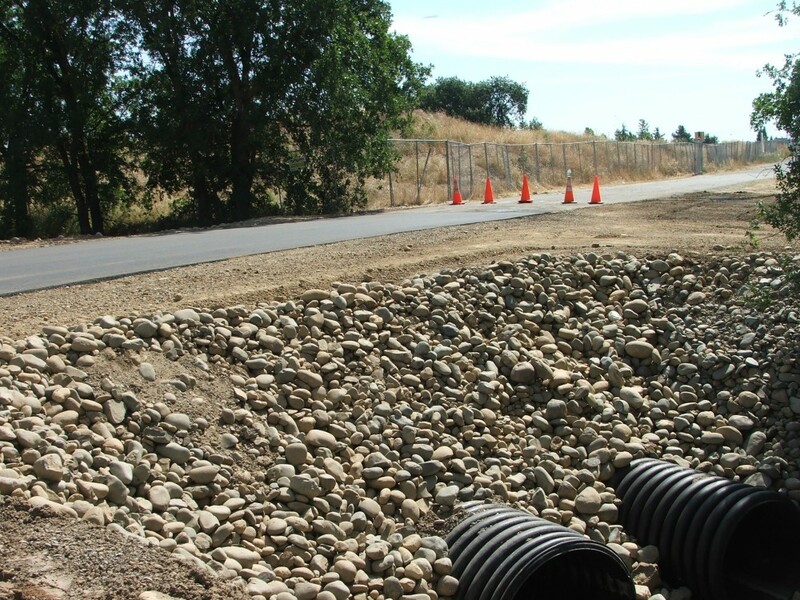 It was imperative the roadway be replaced to allow personal and emergency services access to the plant. 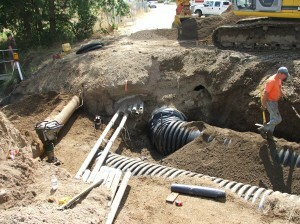 Large culvert pipe had to be installed around existing utility lines without service interruption. 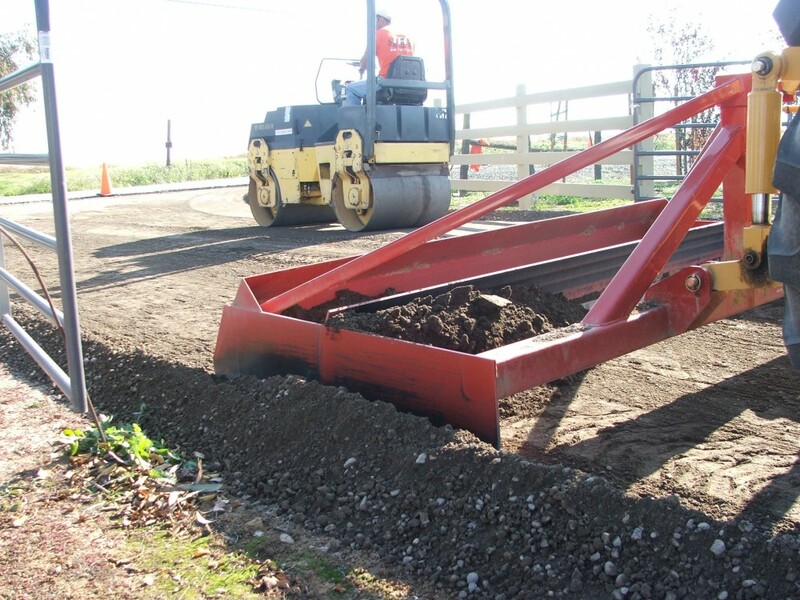 All back fill material was machine compacted to ensure the roadway had a solid foundation. Finished roadway with erosion control. 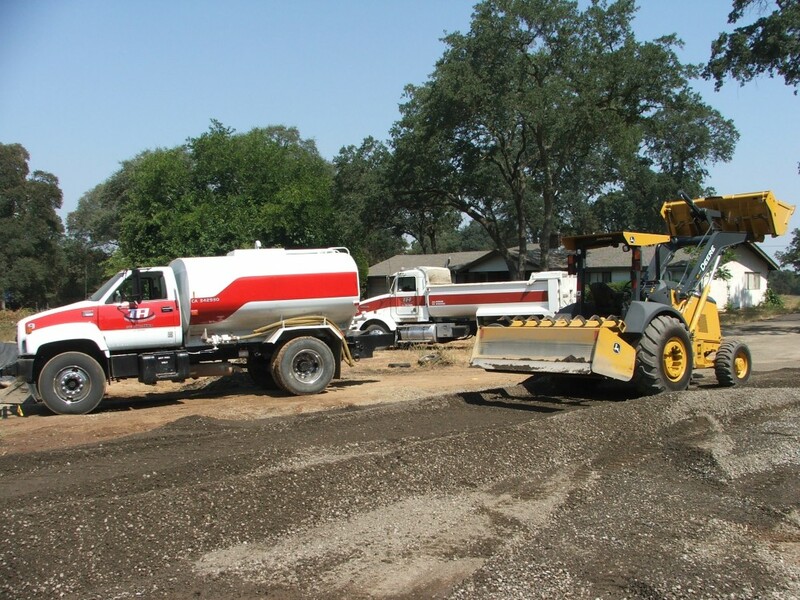 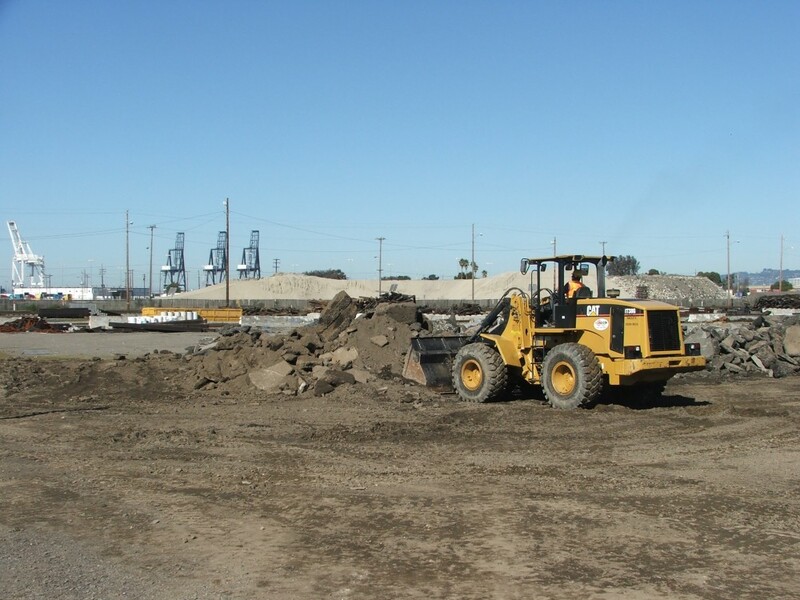 Todd Heldt Excavating & Paving can handle most any grading or paving project. Working with the property owner, we constructed a commercial loading dock to fit the customer’s specfications. 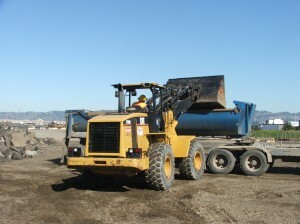 This project had to be overbuilt to handle the proposed weight limits. Setting the wood in concrete to properly retain the fill material. 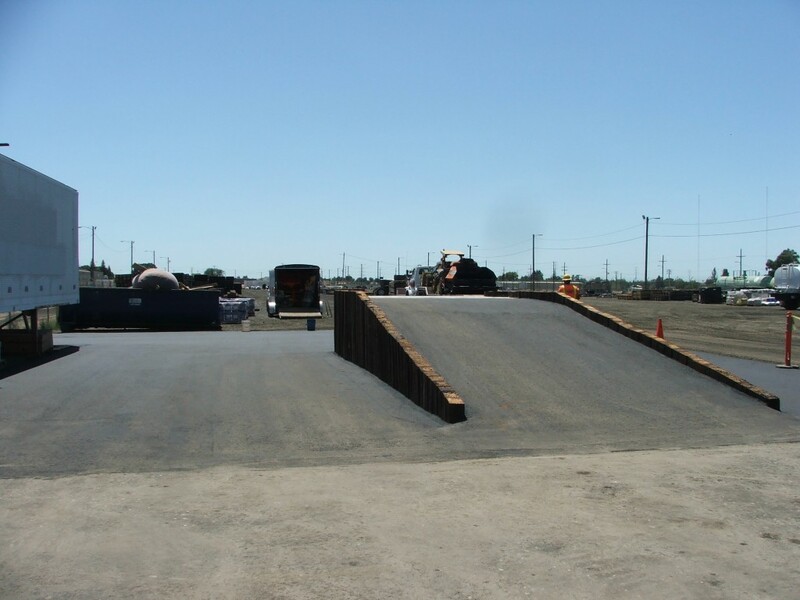 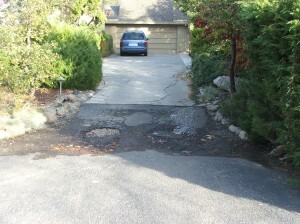 24″ deep concrete had to be install to support the adjustable loading ramp. 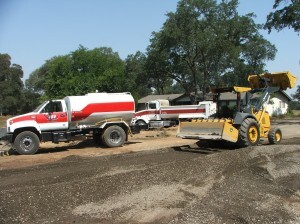 Todd Heldt Excavating & Paving has the knowledge and equipment to complete most any grading job. 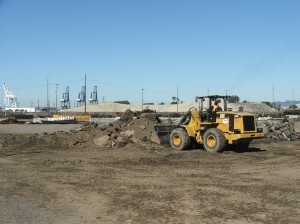 We have been grading for over 25 years and are considered specialist in the field. 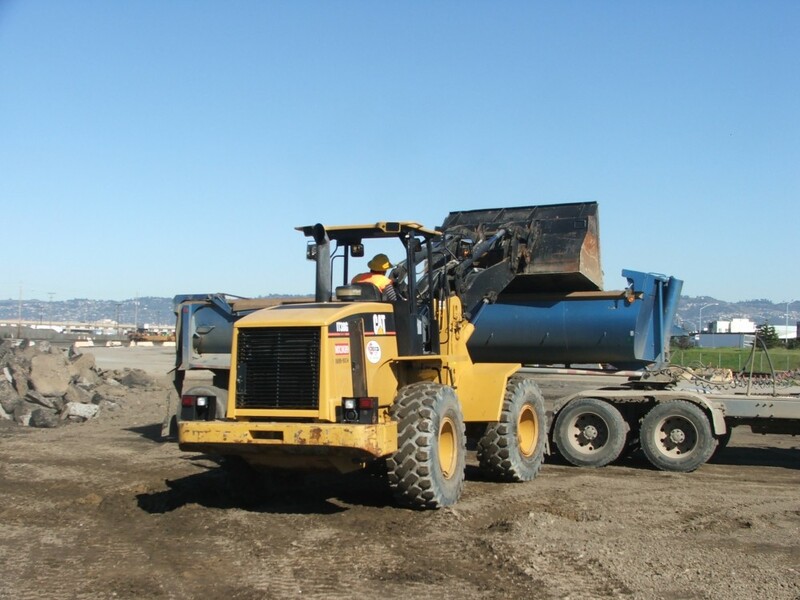 We maintain a modern fleet of equipment that is equipped with state of art grade laser receivers to speed up the grading process.